The furious fight between Bai Hao's team and the Wu brothers halted all of a sudden. The Ethereal G.o.d Realm experts of different star areas gazed at Shang Ying Yue and Shi Yan. 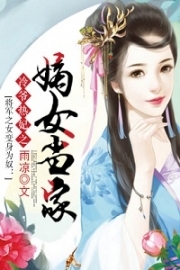 As people were gazing at her, Shang Ying Yue's face became colder. She glared maliciously at Shi Yan, "It's your fault!" Shi Yan snorted and said to her, "Our agreement is on hold temporarily!" A deep flame shot out from his palm, making a gentle curve in the void. It strangely turned into a flaming arm that s.n.a.t.c.hed the Brilliant Star Fruit Tree. Everybody paused and wore a disdainful smile on their faces as they watched him. A starlight rippled like waves of water in the lake with fierce energy fluctuation. The flaming arm that Shi Yan had condensed was smashed. It turned into many sparks when it touched the first layer of starlight. "If it were easy to take that Brilliant Star Fruit Tree, you think I would just stand here and watch?" 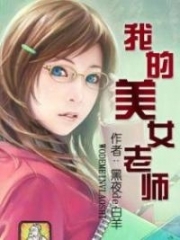 Mia mocked, her bright eyes shifted to the other four people of Bai Hao's group with a glance. "Deal with those troublemakers first." Bai Hao nodded. His team left the Wu brothers. Their cold eyes gazed at Shi Yan and Shang Ying Yue. Bai Hao was surprised. She stared at Shang Ying Yue for a while. He laughed strangely, "Haha, you're the daughter of that s.l.u.t An Liya!" Hearing him, the other three warriors of the Bai family grinned. Their murderous auras rose. The Wu brothers frowned slightly. Mia didn't care. She waved her hand and said simply, "Kill them all!" "Well, it's good for her if we just kill her," Bai Hao clenched his jaw as l.u.s.t flashed in his face. He screamed excitedly like a duck. "That s.l.u.t has such a beautiful daughter. The Bai family's men should serve her well." Mia seemed to not be bothered by this issue. She just talked faintly. "I don't care about the process. I only want the Brilliant Star Fruit Tree. I won't interfere no matter how you want to kill them." The four Third Sky of Ethereal G.o.d Realm of the Bai family laughed evilly. Their eyes sparkled like a pack of hungry wolves. The Drifting Fire of Fantasy Mist Star Are and the Bai family of Dry Bone Star Area had a grudge that was deep to the bone. The Bai family killed Shang Ying Yue's grandfather, but the Drifting Fire had also killed many warriors of this family. These two forces from the adjacent star areas had been fighting for hundreds of years, which caused the loss of many experts. The resentment between them was as deep as the sea. Once they met, they would have a b.l.o.o.d.y battle that other warriors couldn't stop. Bai Hao's team grinned fiendishly as they didn't mind the Wu brothers. They directly controlled their ma.s.sive beasts and dashed towards Shang Ying Yue. The ma.s.sive blue lightning strikes shot out of Shang Ying Yue's curvy body. Shortly after, countless electric snakes gushed out and filled the place where she was standing. They were frightened as they watched this scene. The giant white ape, the demonic dragon, the fighting eagle, and the python were gliding furiously like mountains with brutal and murderous auras. They roared and screamed maliciously. With one jump, they could cross several hundred meters and directly press down on Shang Ying Yue's head. "I owe your father a favor." Wu Feng's eyes were cold and harsh. The fan in his hand swayed and released many rivers that were as bright as the sky. The icy cold aura filled this area. Carrying the grumbling noise of the flowing water, they all headed to the fantasy beasts controlled by the Bai family's warriors. "The Bai family is indeed despicable!" Wu Bai laughed crazily and arrogantly. The gold armor on his body sparkled as he violently stormed towards the others with his big hammer. The Wu brothers joined the battle on Shang Ying Yue's side to deal with the Bai family's warriors. As soon as they came, Shang Ying Yue felt much better. Charming Mia was indifferent. She watched the Bai family's warriors fighting the Wu brothers and Shang Ying Yue, but she didn't seem to join. Quite the contrary, she walked towards the Brilliant Star Fruit Tree and she didn't even throw Shi Yan a look on her way. He had only First Sky of Ethereal G.o.d Realm, but he dared to come and explore the ancient continent! He wanted to court death! Shi Yan was also not interested in the battle between Bai Hao's group, the Wu brothers and Shang Ying Yue. He knew that as the Wu brothers were giving her hands, Shang Ying Yue's life wasn't in danger. It was good for him. Just like Mia, his attention fell on the Brilliant Star Fruit Tree. Seeing Mia walking towards the Brilliant Star Fruit Tree, Shi Yan didn't hesitate to glide towards the Brilliant Star Fruit Tree too. An intimidating gravity suddenly pressed from the sky and covered Shi Yan. As Shi Yan was gliding, he fell abruptly as if a big mountain had just knocked him down. He fell so dizzily. The furious gravity swarmed over him and pushed him on the swampy ground, making him dirty. He felt as if a mountain was placed on his shoulder that prevented him from moving. The terrifying gravity didn't stop there and it continued to rise. He felt like he was actually carrying the mountains on his back. He couldn't even wiggle his fingers. Even though Old Orchid Star was a strange star with tremendous gravity, Shi Yan could still move on that planet. However, Mia was applying a horrible gravity on him that was hundreds of times stronger. If his body hadn't been much stronger than the others at First Sky of Ethereal G.o.d Realm, he would have been crushed in that strike. Mia at Third Sky of Ethereal G.o.d Realm cultivated Gravity power Upanishad. The sudden attack she had struck in just a blink had frightened him badly. She didn't even look at Shi Yan when she took action. She just calmly dashed towards the Brilliant Star Fruit Tree, her graceful body drawing a beautiful curve in the air. She disdained Shi Yan obviously. Inside that crazy gravity magnetic field, Shi Yan's eyes were getting colder. His strong muscles shriveled shortly. His hot blood exploded. Under the urge of his demon blood, each cell in his body was shivering in thrill. An intimidating energy gushed out furiously. Shortly after, the murderous aura shot up into the sky. Shi Yan's face was pressed on the muddy ground. He got rid of the gravity field. His body was vividly red and different energies gushed out of his body, making people dizzy. Mia turned when she was about to reach the Brilliant Star Fruit Tree. She was actually surprised. Her bright eyes scanned Shi Yan as if she was studying him. "Well, you weren't smashed yet. Seems like your body has been quenched and your attainment is not bad." Mia nodded and her left hand touched the void, aiming at Shi Yan. Just like a flood gushing or a tornado wreaking havoc, the extremely fierce energy surged and made the air exploded. Along its way, the ground cracked as if it was a long sword scratching the ground and creating bottomless ditches. Shi Yan's face changed. When her small, white hand pressed down, he found that the s.p.a.ce around him was squeezed until it was deformed. The furious energy could even be compared to a warrior at First Sky of Incipient G.o.d Realm. The G.o.d power acc.u.mulated in Mia's body was beyond his best imagination. Unless he could transform to the Immortal Demon Body, he couldn't withstand this attack. The energy in Mia's attack could destroy the earth though! At the critical moment, Shi Yan was as calm as a majestic mountain. The energy of his entire body was urged. His s.p.a.ce power Upanishad was mobilized. A narrow slit with many strange lights shooting out suddenly appeared in front of him. The gush of invisible energy furiously overflowed into that slit and disappeared. Mia was baffled. She looked at Shi Yan, "s.p.a.ce power Upanishad!" Shi Yan's face was as calm as water. However, his images suddenly shattered like a broken mirror as if he was minced by many s.p.a.ce sabers. He disappeared shortly after. The starlight dots abruptly emerged by the Brilliant Star Fruit Tree. Shi Yan's body congregated. He had traveled ten thousand meters and crossed Mia. Shi Yan extended one hand and s.n.a.t.c.hed it. Starlight emitted dazzlingly from his palm as he grabbed the Brilliant Star Fruit Tree. The starlight ripples protecting the Brilliant Star Fruit Tree didn't prevent him from touching it. He could finally grab the Brilliant Star Fruit Tree. Mia's face became ugly. She couldn't help but shout. Bai Hao, Wu Bai, Wu Feng, and Shang Ying Yue also turned around to look at this area. Bai Hao's face was restless anxious. Shi Yan held the Brilliant Star Fruit Tree in one hand. His body looked like pieces of a broken mirror that radiated light. He vanished before the beams of shattered light fell on the ground. 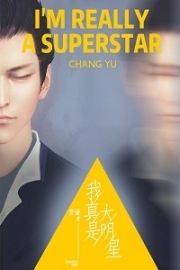 Under people's gazes, Shi Yan's body and aura disappeared completely as if he had fallen into some strange, unknown s.p.a.ce. The two parties which had just engaged in a battle were dumbstruck. Mia grimaced as if she had just swallowed a fly. She stared at the spot Shi Yan had just disappeared and shouted crazily, "Find him! Hurry up!" The four warriors of the Bai family were startled. "Even if he cultivates s.p.a.ce power Upanishad, he can't get out of the ancient continent as he pleases. No one can do that! He must be still around!" Mia took a deep breath to calm down. "At most, he could only use his s.p.a.ce power Upanishad to teleport. The distance should be limited too. Scatter and find him!" She was wrong about Shi Yan. The warriors who cultivated Star power Upanishad could pa.s.s the layers of starlight protection of the Brilliant Star Fruit Tree. Mia knew this. The others knew this. After Shi Yan had appeared, he first used fire power, which was prevented by the natural barriers of the Brilliant Star Fruit Tree. This move had deceived Mia. It made her a.s.sume that Shi Yan was like them: he had only the typical powers Upanishad. If she had known Shi Yan cultivated Star power Upanishad, she would have never let Shi Yan approach the Brilliant Star Fruit Tree! Never! Too bad that Shi Yan had made use of her disdain and a.s.sumption. He had used the marvelous s.p.a.ce and Star powers Upanishads to break her defense and took the Brilliant Star Fruit Tree before she could react. He left without hesitating and left her with a mind full of the flame of rage. "Are you guys on the same side?" 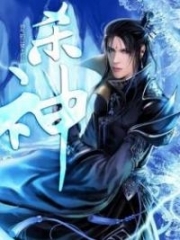 Wu Feng glanced at Shang Ying Yue, his face dark and cold. "You want to make use of our brother? At least... you should have warned us, right?" "No!" Shang Ying Yue spoke with a cold face, "I also want to kill him!" Shang Ying Yue didn't wait for Wu Feng to answer or for Bai Hao and Mia to focus on her. She leaped and turned into a blue lightning strike. She dashed away shortly after. "Go get them! Once you find them, kill them immediately!" said Mia with a malicious complexion. You're Read God Of Slaughter Chapter 1106: Change Again And Again online at NovelOnlineFull.com. You can use the follow function to bookmark your favorite novel ( Only for registered users ). If you find any errors ( can't read,broken links, can't load photos, etc.. ), Please let us know so we can fix it as soon as possible. And when you start a conversation or debate about a certain topic with other people, please do not offend them just because you don't like their opinions. You're reading God Of Slaughter. This manga has been translated by Updating. Author(s): Ni Cang Tian,逆蒼天. Already has 1120 views. Current Time is 18-Apr-2019 17:11:57 PM.